Brayden got first in his heat on Freestyle and won this coupon for a giant cookie. This is a summary for Brayden from 9.5-9.75 years old. Eating is going well. Brayden eats a lot more food on swim days than on non-swim days. Brayden is continuing to do well with not getting out of bed after we put him to bed. That makes 6 solid months of him doing well. Hurray! Brayden still takes piano lessons. As he gets older, I come to see more and more that he really has a strong passion for music. He is also still playing the viola with the school orchestra. He had his first orchestra concert in this period and he thought it was amazing. He loved hearing all of those instruments playing around him (they combine the children from all of the elementary schools in our valley for the concerts–it is really quite impressive!). Brayden is also still on swim team. He went up and down on how he felt about swim team during this period. His swim teacher he has had since he was very young was his coach for about 6 weeks, and he loved that. Then she had to stop because of conflicts with her schooling, and for a while he really did not like swim team. 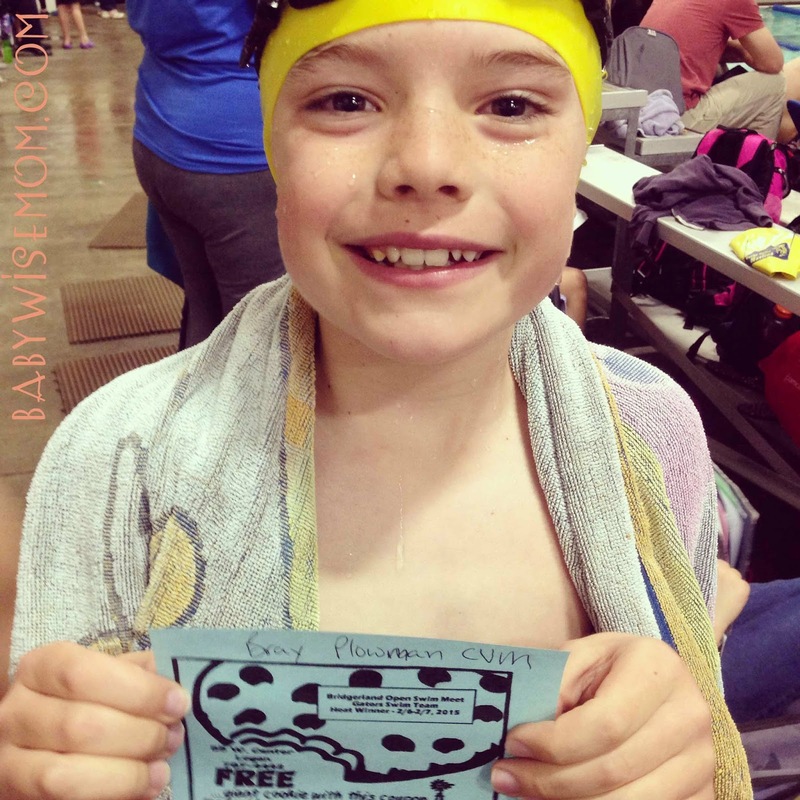 Then he had a swim meet where he felt like he did quite well, and he decided it likes it again. During this period, Brayden has been playing rec basketball. He has really taken to basketball this winter. 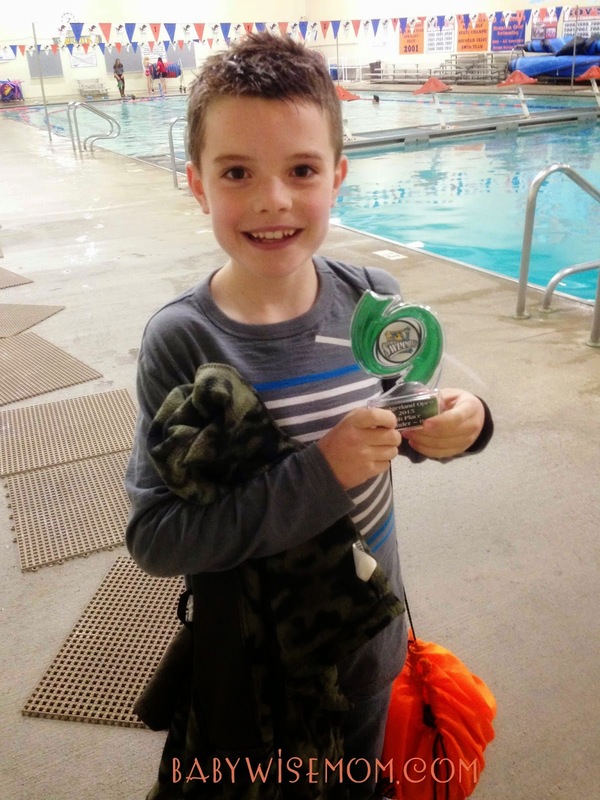 He plays it at every recess at school and he has really enjoyed the rec season. He is also in the musical I am directing at the elementary school. We are doing Willy Wonka’s Chocolate Factory and he is playing Mike Teavee. That has been a lot of fun. Brayden is still involve in scouts. He has a super amazing scout leader right now who puts so much effort into the program. That makes a huge difference in how much enjoyment a boy has in scouts. Brayden is in the gifted and talented program at school. I have been slow to grasp onto that title–gifted. I am not sure why. I guess I recognize that as his parent, I think he is quite amazing, but I don’t know how much of that is bias and how much is me seeing reality. His teacher this year and his teacher last year, however, have both been very blunt about how gifted he is. So I finally purchased a book on raising gifted children. It is fascinating (you know I will be reporting on it when I am done! But the authors recommend reading only about one chapter a week so you can process things appropriately, so it will be slow). This post contains affiliate links. It is A Parent’s Guide to Gifted Children . Michael Vey: The Prisoner of Cell 25 by Richard Paul Evans is the third series is he way into at the moment. 7:00 AM–wake up. Eat breakfast. Get ready. Practice piano and viola. Do morning chores. Read scriptures.